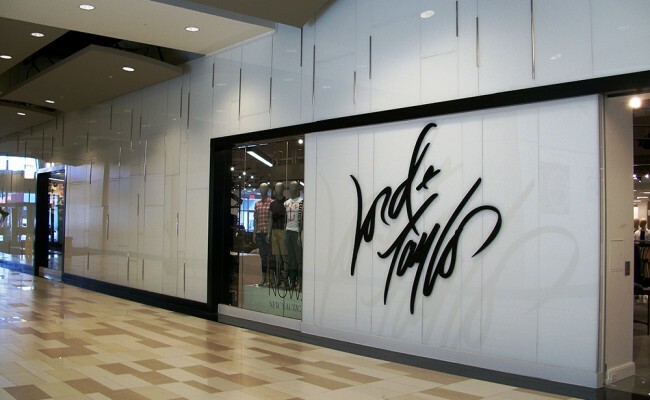 Lord and Taylor located at Crossgates Mall in Albany, NY utilizes the most current glazing materials on the market. 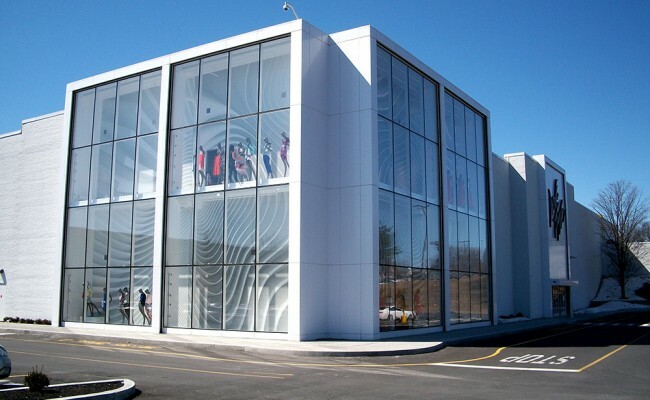 At the corner of the store, Kawneer’s Clearwall curtain wall system gives the façade a seamless appearance of continuous glass while Alucobond aluminum composite panels clad the perimeter. 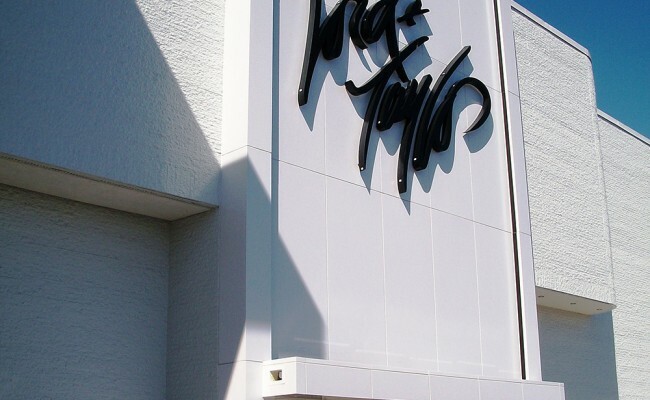 From the display case corner you’ll find additional aluminum composite clad towers with Kawneer aluminum thermal storefront frames that highlight and accentuate the main entrances to the store. 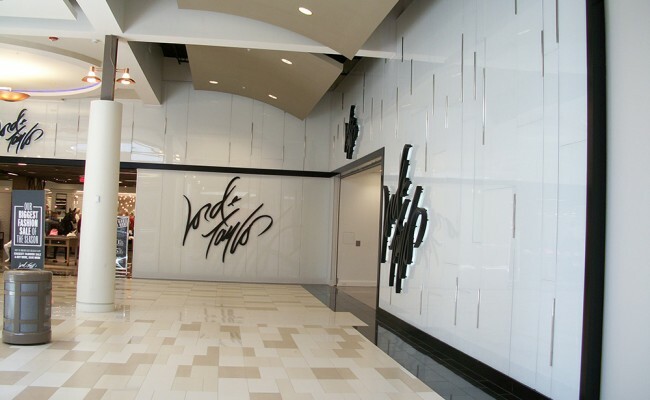 As you enter the store from the interior of the mall you’ll find many high end products which include; four custom back painted glass walls, heavy monolithic glass railings and a glass smoke baffle that encompasses the escalator opening. 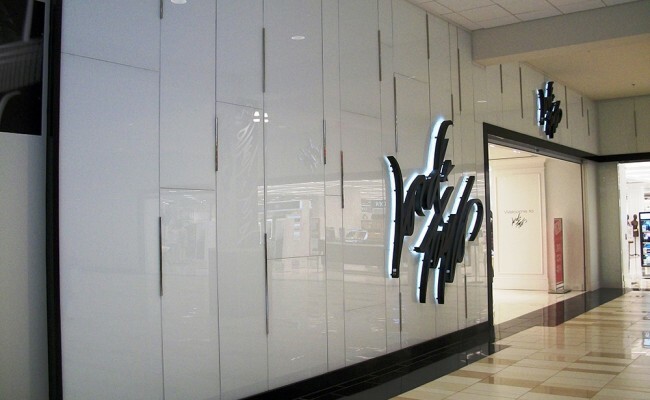 The custom display walls feature; Dreamwalls white back painted glass, decorative wall mounted chrome rods and bent aluminum cladding that accents the perimeter. 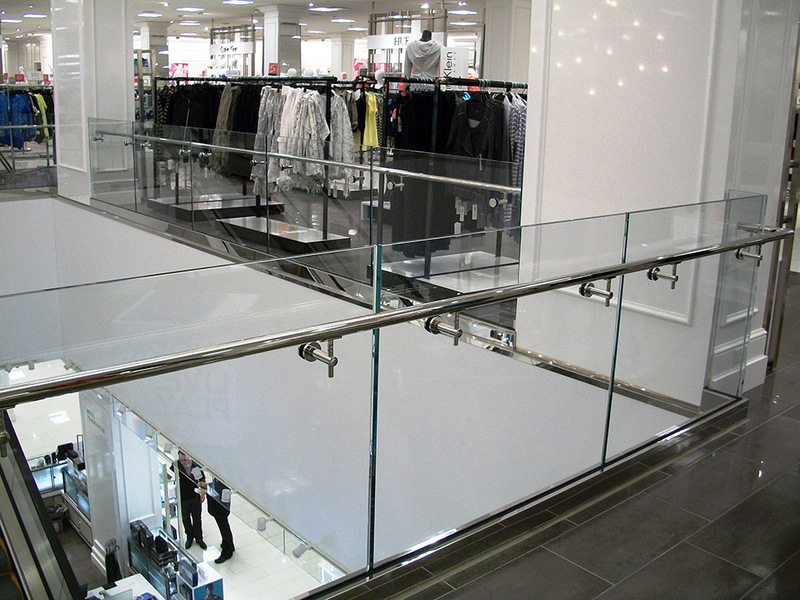 Once inside the store, the ultra-clear glass railing applies C.R. 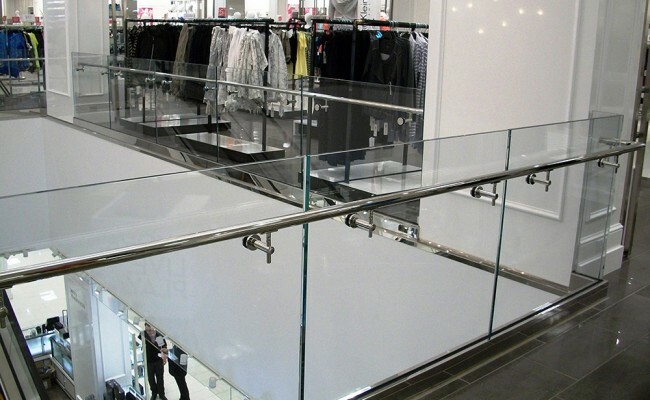 Laurence’s advanced taper-loc railing system with polished stainless steel hardware and custom glass cutouts at each escalator railing. 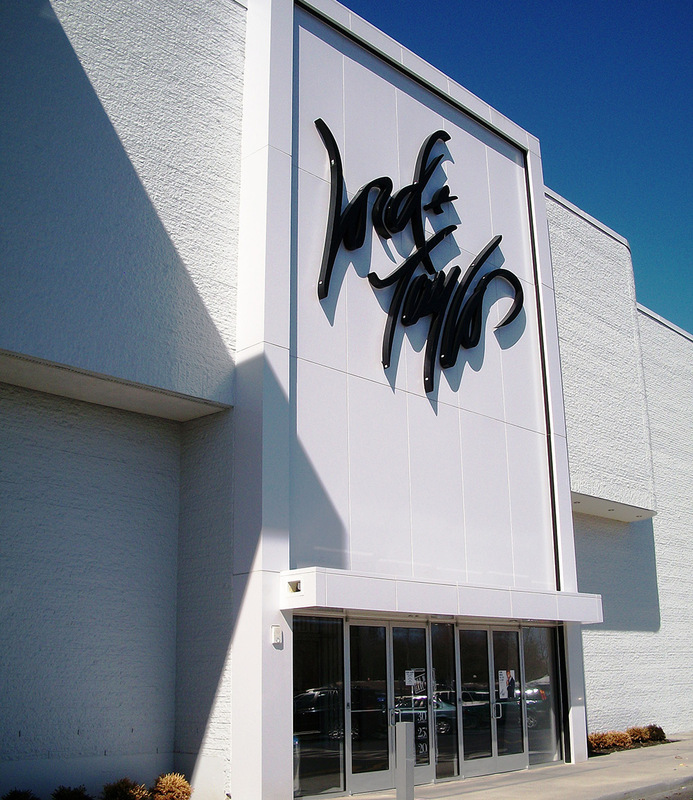 Located next to Lord and Taylor are the Crossgates Mall main entrances that were installed in 2013. 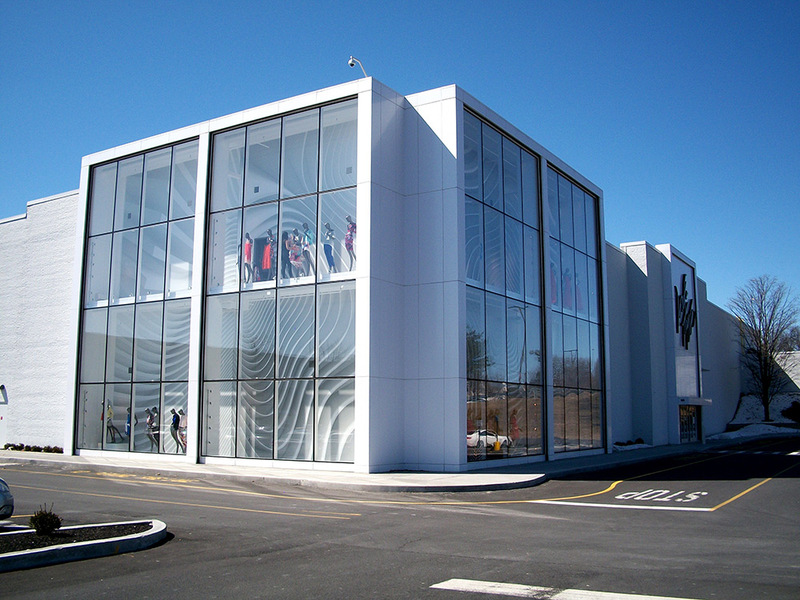 These sloped mall entrances were designed and engineered with Kawneer’s 1600 curtain wall system that include; multi-colored insulated glass units, glass canopies and additional Alucobond ACM panels above. Kawneer 451T Exterior Storefront System- 546 sq.ft. Kawneer 450 Interior Storefront System- 732 sq.ft. 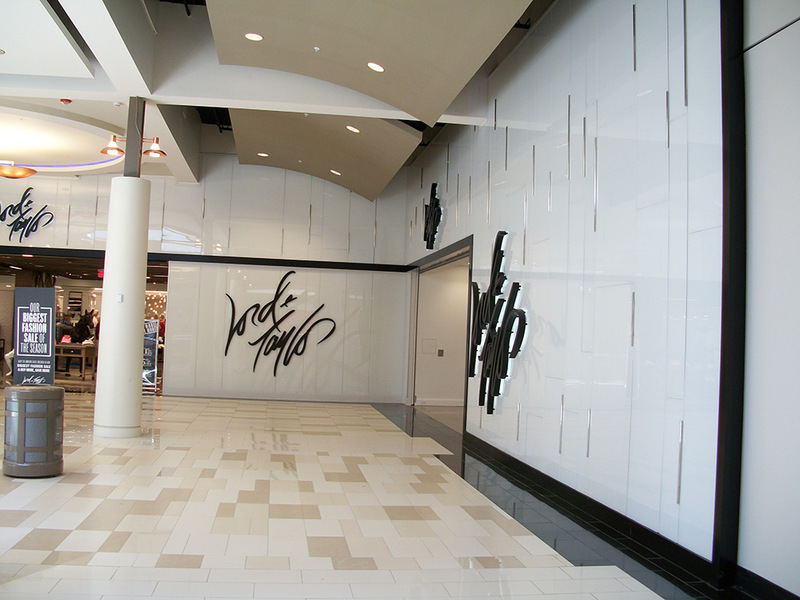 Kawneer Clearwall Curtain Wall System- 3,557 sq.ft. Alucobond Aluminum Composite Panel System- 5,648 sq.ft. 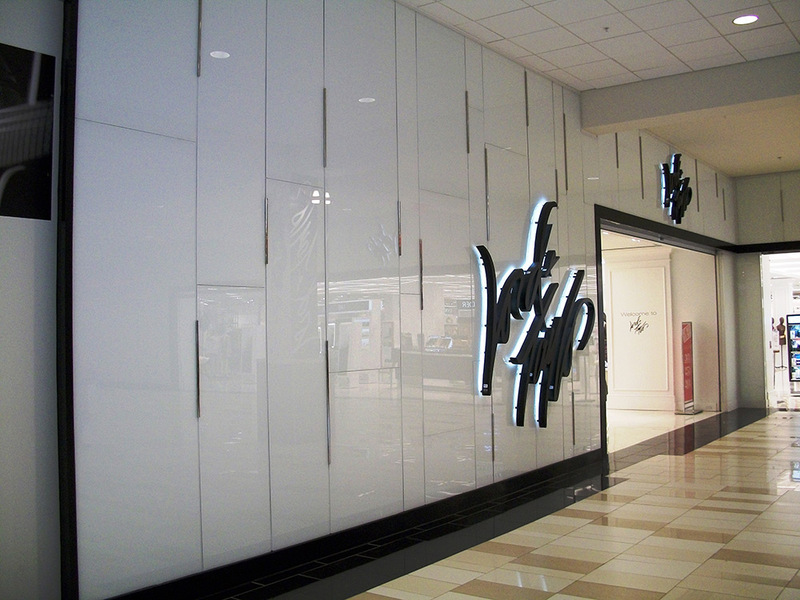 Custom Dreamwalls Back-Painted Glass Wall with Polished Stainless Steel Rod Accents- 4,366 sq.ft. 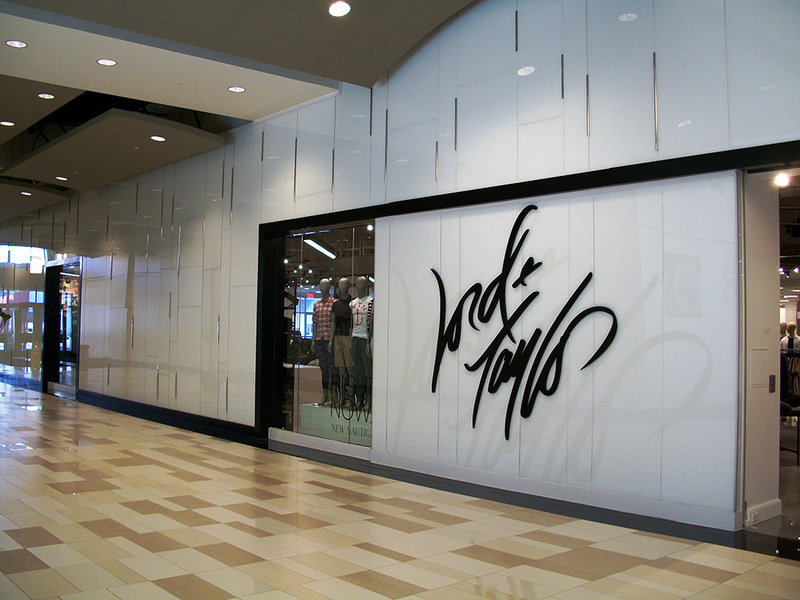 Heavy Glass Display Cases- 400 sq.ft.